SEM micrograph of a deep-etched Ni-Hard sample, showing the continuous plates fo the eutectic carbide and secondary carbides (Etched with Aqua Regia). The hardness of Ni-hard 1 is a function of the proper ratio of carbides to the martensitic matrix. Texaloy's ability to produce a “balanced alloy” makes Texaloy Ni-Hard the standard in the concrete industry [ See more ]. 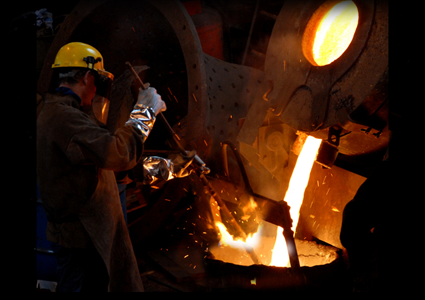 Texaloy's production of high quality Ni-Hard castings dates back 55 years. 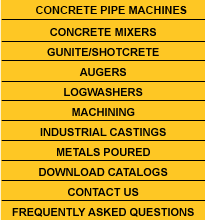 These castings, called Long Bottoms, Trowels, or Castings, are used in the concrete industry and are precision machined to close tolerances.